We Can Save Your Damaged or Infected Tooth With a Root Canal! The nerve and pulp of a tooth, located at its very center, make up the root canal. This location can become infected if there are cracks in the teeth or deep decay, or if a person has had too many dental procedures on one particular tooth. 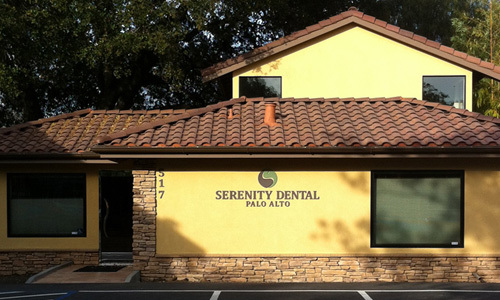 Here at Serenity Dental Palo Alto, our first priority before we even consider tooth removal is always to repair the damage that has been done to the tooth, and root canals are one way to accomplish this. In a root canal procedure, Dr. Heidari removes the nerve and pulp, and then cleans and seals the inside of the affected tooth. If symptoms are left untreated, the tissue around the tooth could quickly become infected as an abscess forms around the area. The nerve of the tooth is not important to its health as long as the tooth has already broken the gum line — it simply provides hot and cold sensations. Your chewing will not be affected after a root canal. If you have significant tooth pain, we can help! Call us today at 650.327.7525 or send an email to APPT@PaloAltoDentistry.com to get the relief you need. If you are in or around San Jose, please visit our San Jose Root Canal page or call our office at 408.999.0444. We’re happy to answer any of your questions. We also offer periodontal and gum disease therapy in Aptos, Santa Cruz, Capitola and Soquel. Please visit our Aptos Root Canal page or call our office there at 831.688.6531 for more information.